2013 Accomplishments: Joshua’s 2013 accomplishment was also taking 3rd at the King of the Canyons race. 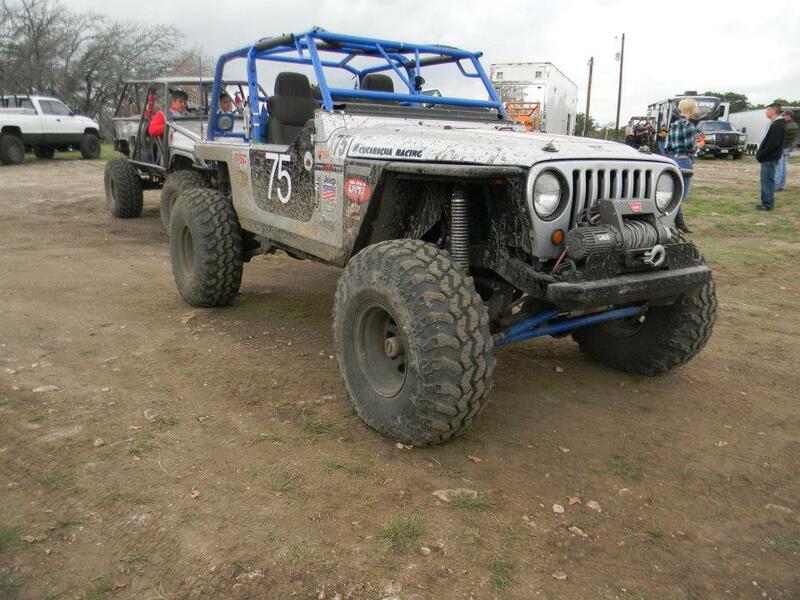 Cucaracha Racing team members consists of police officers, fathers, certified mechanics, DIY fabricators and Jeepers. The team met at a local San Antonio Jeep Club and decided to get together to accomplish something significant. We a group of dedicated, hard working, family oriented people who have a passion for offroading and racing. The driver, owner of the vehicle and founder of the team is Josh Puente. Josh literally grew up in a mechanic shop and has been involved in building cars for most of his life. With a history in racing Ford Mustangs, Josh is no stranger to building and racing cars. He built and designed the team rig from a daily driver Jeep. All though he is new to offroad racing Josh has been rock crawling for many years. Co-Driver is Rafael Berdecia. Rafael is an ASE certified mechanic with over 30 years of experience. Rafael not only co-drives but is also the chief mechanic. Rafael is one of the most dedicated workers one will ever know and is always eager to help others build their rigs. Other members of the team are Ray Horn, Alma Puente, Alicia Marin Horn.